In the perfect match of subject and author, John S. D. Eisenhower, a noted military historian, presents the definitive account of the birth of the modern Amer- ican army and its decisive role in World War I. With the help of his wife Joanne, Eisenhower captures the viewpoints of the actual participants, blending a narrative told from the perspective of top officers with the stories of average soldiers. Drawing on diaries and memoirs, he brings each engagement to life, from the initial planning to the actual battlefield experiences of soldiers whose exploits at Belleau Woods and along the Meuse-Argonne would become the stuff of legend. Along the way, he shows how General Pershing and other leaders -- including George Marshall, Douglas MacArthur, George Patton, Billy Mitchell, and Peyton March -- transformed the American Expeditionary Force from a small, underequipped force into a strong, efficient, and effective army. 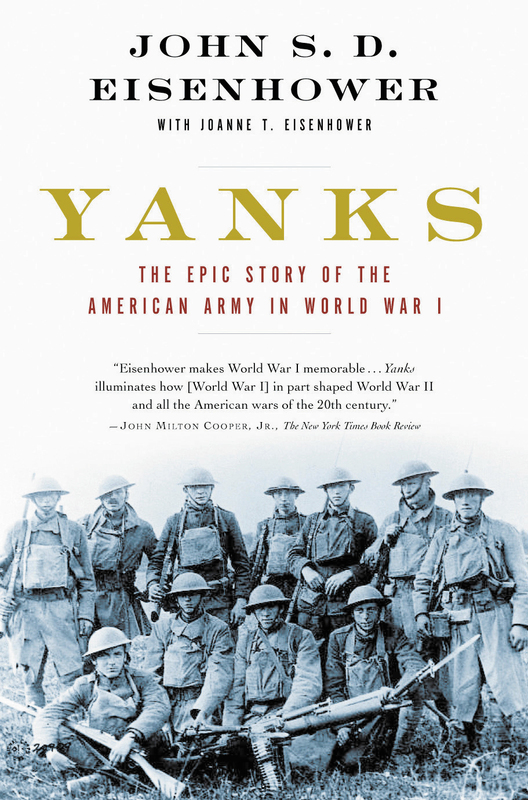 Fast-paced, lively, and engaging, Yanks illuminates the central role of the American army in turning the tide in the biggest war the world had ever known. A graduate of West Point and retired Brigadier General in the Army Reserve, John S.D. Eisenhower has served on the US Army General Staff, on the White House Staff, and as US Ambassador to Belgium. John Milton Cooper, Jr. The New York Times Book Review Eisenhower makes World War I memorable...Yanks illuminates how [World War I] in part shaped World War II and all the American wars of the 20th century. Alan Gropman The Washington Times An outstanding account of the American combat effort in World War I...brilliantly organized [and] exceptionally well-written...Eisenhower tells a great story and he tells it well. Stephen E. Ambrose author of Band of Brothers and The Wild Blue When John Eisenhower describes General Pershing and his staff on the ship taking his first contingent of Americans to France, he makes you feel you were there -- most of all wondering, as Pershing did, how all this was going to work. Finding out is what makes this such an enjoyable read.